Merry Christmas everyone and I hope you all had a great day yesterday. To my mind this year has been one of grounding, renewing and hopefully driving ahead towards the new year and upcoming months with increased vigour and passion. We may not have made waves in the league so far this year but there are still plenty of games to play and plenty of points to acquire. However, the action off the pitch has cemented the club’s status in the local community and further afield. From the Young Saints initiative, encouraging families to come and join us at match days, participation in sport and the much coveted sticker book, to the recognition of our supporter volunteers in community to awards; 2018 has been marked with the success of our people. I am reminded of the immense pride singing for the Club outside the council officers raising our song to the chamber to ensure our voices where heard – and thankfully heard they were. We have more than a team of 11 sportsmen. We are more than the semi professional players who are proud (and rightly so) to wear the City badge. We are a team of every individual who enters through the turnstiles, whether a fair weather fan we see on a bright sunny day at Clarence park or the dedicated few who embark on a mission to Truro on a wet Tuesday night. We are the litter pickers, the programme sellers, singers, flag wavers, Boost the Budget contributors and each and every one is thanked and truly appreciated. 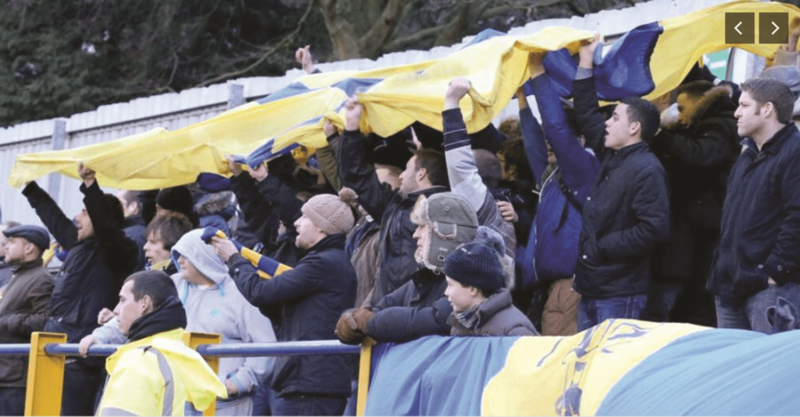 Without you, the club couldn’t function, it could not open it’s turnstiles, welcome new and old faces week in and out. Let alone, raise money for charity, bring a passion and enthusiasm to our city at festival days and away days which is the envy of many in our division. We know we have hills to climb, we know that the challenges ahead are more than the strive for those precious points to climb the table. We have the best fans in the league but not the ground to match, we have owners who are fighting with the same passion as the fans to achieve a stadium worthy of the City. We will hear more of this in the New Year, and my resolution for 2019 and I hope all of yours is to continue to remember what my city really means to me- friendship, passion and a great future.